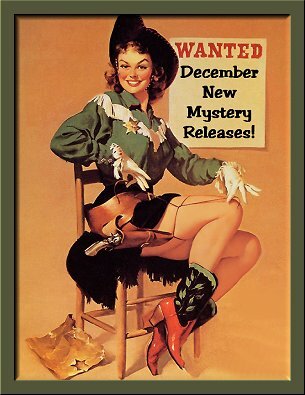 December 2011 New Mystery Releases! Anyway you look at it, December has some new books coming out that you might want to include as gifts for yourself or others. I'm listing the ones I'm looking forward to below. Perhaps you're eagerly awaiting one or more of these titles, too! Speaking of titles, they're grouped by release dates, and I've included the information you'll need to find them at all your favorite book spots. 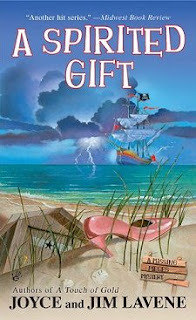 Happy gifting-- and happy reading! Synopsis: "Olivia Limoges and the Bayside Book Writers are excited about Oyster Bay's newest resident: bestselling novelist Nick Plumley, who's come to work on his next book. 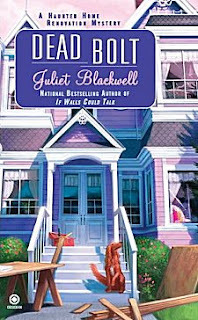 But when Olivia stops by Plumley's rental she finds that he's been strangled to death. Her instincts tell her that something from the past came back to haunt him, but she never expects that the investigation could spell doom for one of her dearest friends...."
Synopsis: "Turner Construction's latest restoration project is a historic Queen Anne Victorian in San Francisco. This time general contractor Mel Turner has to work around the owners who insist on sticking around- along with some ghosts that insist in their own way that the work stops.... The ghosts aren't the only ones standing in the way of the renovations. A crotchety neighbor, Emile Blunt, secretly wants this house, and could be behind some of the disturbances. But when Emile is found dead, it's Mel who appears guilty. Now she must restore the building-and her reputation-before it's too late." Synopsis: "Lois Meade has worked through all the days of the week, turning up clues and scrubbing up messes and murderers in the village of Long Farnden. 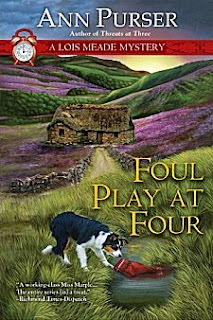 But sleuthing is rarely a spotless endeavor.... A series of robberies have begun to plague Long Farnden, and Lois's own daughter, Josie, is shaken when a thief makes off with a hundred pounds from the till in her grocery shop. But before her policeman fiancé can crack the case, someone cracks Lois's husband on the head when he interrupts a burglary in progress. 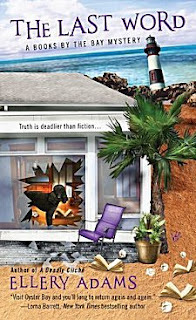 Now Lois-and the besotted Inspector Cowgill-must determine who's cleaning out Long Farnden, and clean up after an increasingly violent crime spree...."
Synopsis: "As the mayor of Duck, North Carolina, Dae is playing host to twenty North Carolina elected officials attending her first Mayors' Conference Weekend at the Blue Whale Inn. When the body of Mayor Sandi Foxx is discovered the morning after a severe storm, Dae receives a vision through the mayor's ring; that there's a killer among the guests who's as deadly as any hurricane." Synopsis: "Dr. Siri might finally be allowed to retire (again). Although he loves his two morgue assistants, he’s tired of being Laos’s national coroner, a job he never wanted in the first place. Plus, he’s pushing eighty, and wants to spend some time with his wife before his untimely death (which has been predicted by the local transvestite fortune teller). But retirement is not in the cards for Dr. Siri after all. He’s dragged into one last job for the Lao government: supervising an excavation for the remains of U.S. fighter pilot who went down in the remote northern Lao jungle ten years earlier. The presence of American soldiers in Laos is a hot-button issue for both the Americans and the Lao involved, and the search party includes high-level politicians and scientists. But one member of the party is found dead, setting off a chain of accidents Dr. Siri suspects are not completely accidental. Everyone is trapped in a cabin in the jungle, and the bodies are starting to pile up. Can Dr. Siri get to the bottom of the MIA pilot’s mysterious story before the fortune teller’s prediction comes true?" 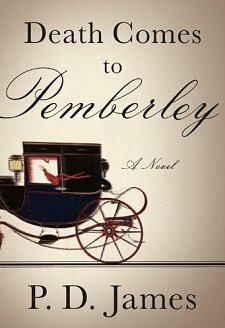 Synopsis: "A rare meeting of literary genius: P. D. James, long among the most admired mystery writers of our time, draws the characters of Jane Austen’s beloved novel Pride and Prejudice into a tale of murder and emotional mayhem. Inspired by a lifelong passion for Austen, P. D. James masterfully re-creates the world of Pride and Prejudice, electrifying it with the excitement and suspense of a brilliantly crafted crime story, as only she can write it." Synopsis: "It is the eve of the FIFA World Cup, the globe’s premier sporting event. The host country is Brazil. A victory for the home team is inextricably linked to the skills of the country’s principal striker, Tico “The Artist” Santos, the greatest player in the history of the sport. All the politicians in Brasilia, from the President of the Republic on down, have their seats squared-away for the finale, when they hope to see Argentina, Brazil’s bitterest rival, humbled by the Brazilian eleven. But then, just three weeks before the first game, Juraci Santos, Tico’s mother, is kidnapped. The star is distraught. The public is appalled. The politicians are outraged. And the pressure is on Chief Inspector Mario Silva to get her back. Suspects aren’t lacking. Among them, are a cabal of Argentineans, suspected of having spirited the lady away to put Tico off his game, the star’s gold-digging, top-model girlfriend, whom his mother dislikes and has been trying to get out of his life, his principal rival, who wants to play in the World Cup in Tico’s place, and the man whose leg Tico broke during a match, thereby destroying his career. 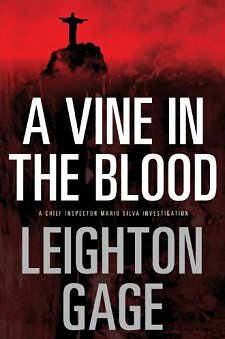 In the end, Silva and his crew discover that the solution to the mystery is less complex - but entirely unexpected." 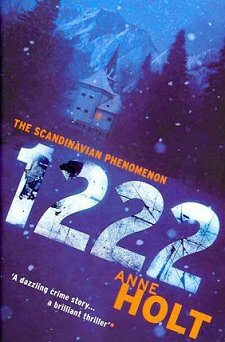 Synopsis: "From Norway’s bestselling female crime writer comes a suspenseful locked-room mystery set in an isolated hotel in Norway, where guests stranded during a monumental snowstorm start turning up dead. A train on its way to the northern reaches of Norway derails during a massive blizzard, 1,222 meters above sea level. The passengers abandon the train for a nearby hotel, centuries-old and practically empty, except for the staff. With plenty of food and shelter from the storm, the passengers think they are safe, until one of them is found dead the next morning. With no sign of rescue, and the storm continuing to rage, retired police inspector Hanne Wilhelmsen is asked to investigate. Paralysed by a bullet lodged in her spine, Hanne has no desire to get involved. But she is slowly coaxed back into her old habits as her curiosity and natural talent for observation force her to take an interest in the passengers and their secrets. When another body turns up, Hanne realizes that time is running out, and she must act fast before panic takes over. Complicating things is the presence of a mysterious guest, who had travelled in a private rail car at the end of the train and was evacuated first to the top floor of the hotel. No one knows who the guest is, or why armed guards are needed, but it is making everyone uneasy. Hanne has her suspicions, but she keeps them to herself. Trapped in her wheelchair, trapped by the storm, and now trapped with a killer, Hanne must fit the pieces of the puzzle together before the killer strikes again." Synopsis: "Eight years ago, a man walked five-year-old Hannah out the front doors of her school and spirited her over the Mexican border, taking her into the world of a cult known as The Chosen. For eight years, followers of The Prophet have hidden the child, moving her from country to country, shielding the man who stole her. Now, those who’ve searched the longest know where to find her. They are childhood survivors of The Chosen, thirty-somethings born and raised inside the cult who’ve managed to make lives for themselves on the outside. They understand the mindset, the culture within that world, and turn to Vanessa Michael Munroe for help, knowing that the only possibility of stealing Hannah back and getting her safely out of Argentina is to trust someone who doesn’t trust them, and get Munroe on the inside." Although I want to read every book in this list, I have to admit that the one book I'm really looking forward to is Death Comes to Pemberley. I'm dying to see what a master does with Jane Austen's characters! Did any of these titles scream BUY ME! at you? Which ones? I have read the Holt and have the Leighton Gage in my TBR (I'm way behind on the series though...need more hours in the day) so the one that really screams buy me is the Ellery Adams one...though I think I've missed one in that series too. I will wait on the Colin Cotterill as (you guessed it) I'm behind on that series too. I'm a huge P&P fan and a huge PD James fan, so that's one already on my list. And I must read the second Stevens book too. Cathy - Oh, these all look appealing. I really want to read the new Colin Cotterill (I love his Dr. Siri character). And I've heard a lot of talk about the P.D. Martin; that's an intriguing idea for a book. Hmmm.....And the Ann Purser. You've got some great ones on your list. I just finished The Last Word by Ellery Adams and it is fantastic - much deeper in some aspects than most cozies. I think it is her best book yet. Pop in for a visit next week - I'll be giving away a copy. So many books so little time... Definitely the PD James, on my list already but now I've add Anne Holt! The Ann Purser book looks really good too and the Ellery Adams. Have not read any of theirs before. I have read 1222, and Leighton Gage´s book is in my kindle. Usually a new P.D. James would definitely scream ´buy me´, but James & Austen? No, I don´t think so. Ann Purser and Colin Cotterill - may well be. Candace-- I can leave almost all the P&P books alone, but I have to make an exception for P.D. James! 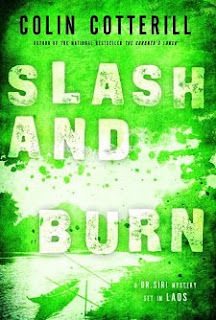 Kaye-- I agree with you about the Ellery Adams series, and thanks for the heads up! Peggy-- They're good. I really think you'd like them! 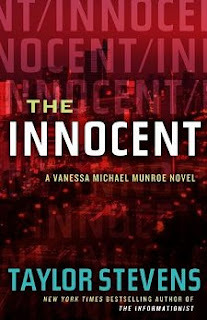 I am really looking forward to "The Innocent"...loved the first book. Caite-- I'm just about ready to pick it up and read it!